The Illustration Friday word of the week is launch. Maybe today I’ll try pretending that all truly is well. What have I got to lose, except my neurosis?? 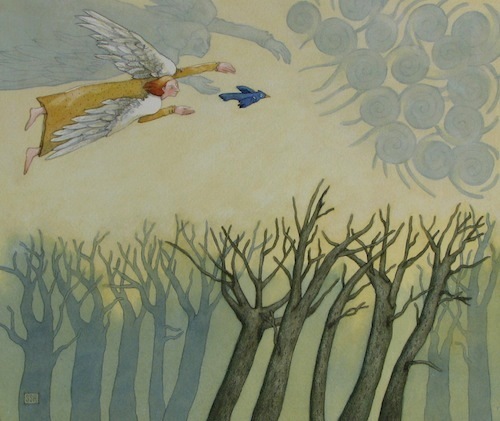 “All is Well” (watercolor, pen & ink, gouache) This painting is a newer version of “First Flight” which you can see here.